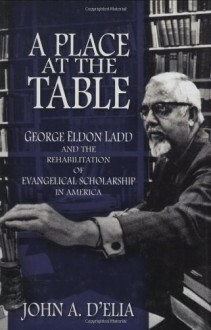 George Eldon Ladd was a pivotal figure in the resurgence of evangelical scholarship in America during the years after the Second World War. Ladd's career as a biblical scholar can be seen as a quest to rehabilitate evangelical thought both in content and image, a task he pursued at great personal cost. Best known for his work on the doctrine of the Kingdom of God, Ladd moved from critiquing his own movement to engaging many of the important theological and exegetical issues of his day. Ladd was a strong critic of dispensationalism, the dominant theological system in conservative evangelicalism and fundamentalism, challenging what he perceived to be its anti-intellectualism and uncritical approach to the Bible. In his impressive career at Fuller Theological Seminary, Ladd participated in scholarly debates on the relationship between faith and historical understanding, arguing that modern critical methodologies need not preclude orthodox Christian belief. Ladd also engaged the thought of Rudolf Bultmann, the dominant theological figure of his day. Ladd's main focus, however, was to create a work of scholarship from an evangelical perspective that the broader academic world would accept. When he was unsuccessful in this effort, he descended into depression, bitterness, and alcoholism. But Ladd played an important part in opening doors for later generations of evangelical scholars, both by validating and using critical methods in his own scholarly work, and also by entering into dialogue with theologians and theologies outside the evangelical world. It is a central theme of this book that Ladd's achievement, at least in part, can be measured in the number of evangelical scholars who are today active participants in academic life across a broad range of disciplines.